With time and technological development, human race is gradually elevating its dependence on machinery. The incessant usage of energy is therefore increasing manifolds. However, the realisation of reducing reliance on non-renewable energy sources was felt long back, no concrete steps are taken in day to day life. Solar Energy is considered to be one of the most abundant and sustainable forms of energy in a tropical country like India. It can thus be used to fulfil the demands risen due to dearth of urbanization. Gandhinagar was chosen to be one of the first Model Solar City after the Solar City Master Plan was prepared for the city. Considering the growing demand and need, the city was assessed using Remote Sensing (RS) and Geographic Information System (GIS) technique for its building footprints and solar rooftop potential was evaluated using standard insolation models. It was felt that geospatial techniques play a pivotal role in mapping the potential zones useful for resource tapping. It is expected that only 30% of rooftop area can reduce the dependence on non-renewable energy by 200% in residential sector. Planned cities and all planned developments within the urbanized regions can adhere to use technology to calculate the effect of usable rooftop area, height of the structure or building and insolation falling on the surface so as to reduce their energy demand. Such technologically sound and low cost solutions can help in driving developing nations’ need of reliance on non-renewables. 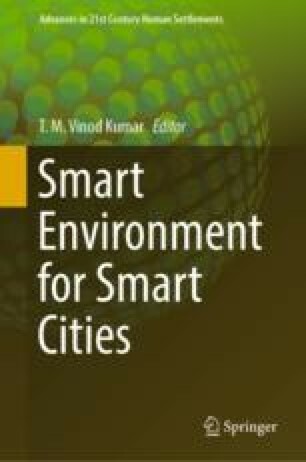 The study is an attempt to understand how efficiently geospatial technology can play a role in determining the solar potential and help in converting the city into a sustainable and green city by using the tool of “Smart Energy”.